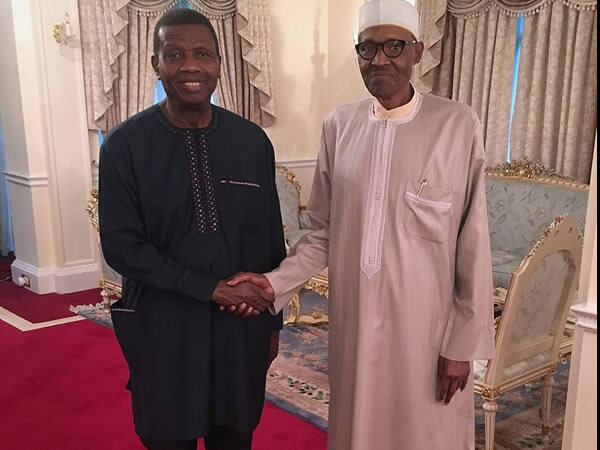 President of Nigeria, Buhari has congratulated the General Overseer of the Redeemed Christian Church of God (RCCG) Pastor Adeboye has he turns 76. The president sent a congratulatory message via his special adviser on Media, Femi Adesina. He hailed the man of God for his good works and devotion to the country and her people. ”President Buhari believes Pastor Adeboye has planted seeds of the Gospel that posterity will always remember, especially his divinely inspired dream of ensuring that there will be a church within every walking distance in the country. ”The President extols Pastor Adeboye for his humility, focus, discipline and sacrificial spirit of giving up his personal comfort, career, and dreams, to take up the higher call of leading the Lord’s flock. The President affirmed that the exemplary leadership provided by the servant of God has resulted in an exponential growth of the church, which directly translates into development of infrastructure, building of educational and health institutions, as well as vocational centres that have created a means of livelihood for many Nigerians.